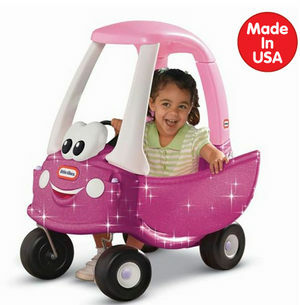 Use this comprehensive directory to find fun Toys Made in USA and toy companies in the U.S. When you buy American made toys you support American jobs and keep the American economy growing. 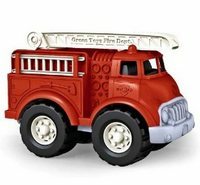 A Fire rescue truck that is not too small and not too big for little hands. Contructed from 100% recycled plastic milk jugs. Roof ladder pivots and swivels 360 degrees.Has two removable side ladders. Very solid and durable. Toy Made in USA. Slides, Swing Sets, See- Saws. 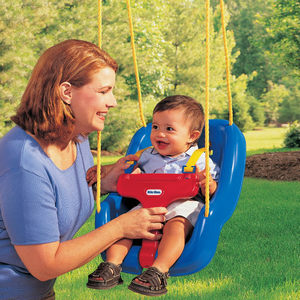 Outdoor fun and healthy play toys. Operating in the U.S. since 1889. Flexible Flyer products are made in America. 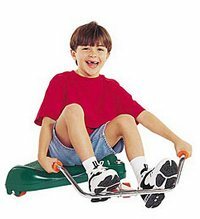 Kids will love zipping around any smooth surface on this Parent’s Magazine “Best Toys of the Year” scooter. Polyurethane wheels will not mark floors and can be ridden indoors or out. Fun and fast! Just grab the handlebars and rock your arms back and forth to start moving forward. Made in USA. Ages 3-12. 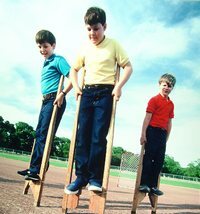 These stilts are made of high quality hardwood to last for years. Three sizes to fits children 6 years and older. Four height adjustments up to 14″ from the floor. Improves balance and coordination. Get two pair and play stilt soccer. Use indoors or outdoors. Toy Made in America. 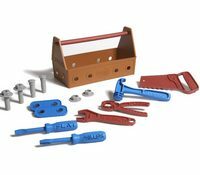 15 Piece tool kit helps to develop gross and fine motor skills. Comes with tool box, tools, nut and bolts. Made of 100% recycled milk containers. Names of tools are written on each tool. Durable and high quality. Non toxic. USA. 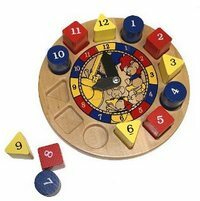 A fantastic educational toy that teaches numbers, shapes, colors and yes, even time! Chosen by Parents Magazine as one the best children’s toys. Built to stand the test of time. Toy Made in USA. 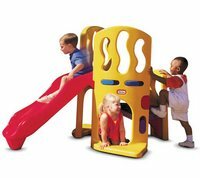 A great little backyard jungle gym with a sliding board, climbing spot, crawling and hiding spots. 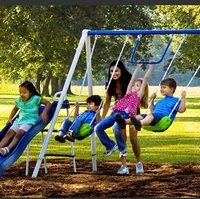 Good for the little ones to engage in healthy, active, playtime fun. Ages 2 – 6. Made in USA. This kids hobby and art table has large write and wipe surface and solid, sturdy construction. Storage tray for your child’s art and drawing materials. Good for crafts and projects too! USA. 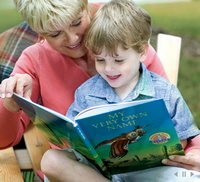 Children’s books personalized with their own names in the story. Titles include: A Hannukah Bear for Me, A Christmas Bear for Me, My Very Own Fairy Tale, My Very Own Pirate Tale and many more. Made in the USA. Big alphabet puzzle in beautiful primary colors. 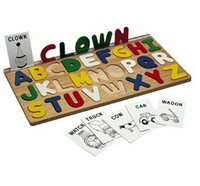 Kids can learn to spell well before their hands can write letters with this puzzle. Kids learn alphabetical order, visual shape identification and fine motor skill development. Made in USA. Kazoobie invents a new kazoo: the Wazoo. 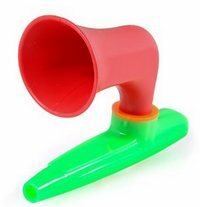 The really loud kazoo. The new horn attachment amplifies and projects the sound. Great fun for parties and sing-a-longs. Toy Made in USA. 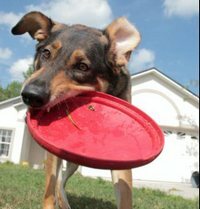 Soft flexible rubber flying disc for playing games of fetch with your dog. 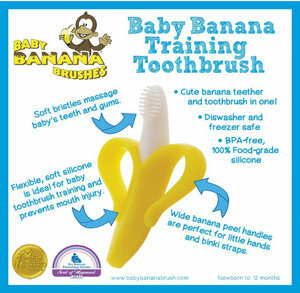 Durable but soft on your dog’s teeth and gums. Non-toxic rubber disc available in small and large. Good for dogs up to 85lbs. This is a great bookcase and toybox combo. 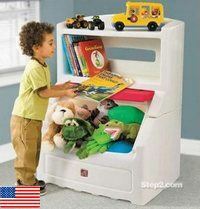 Kids can store stuff on the top shelf, put their books on the bookshelf and store their toys in the storage compartment. The storage area is wide and deep and the lid is very easy to open. Kids can do it by themselves. Stable, sturdy and wipes clean with a cloth. Toy Made in USA. Holds and stores a lot of fun toys. Roll it around, collect the toys and roll it away! 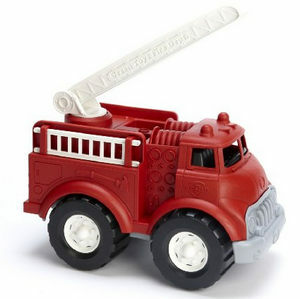 Super durable, holds a lot of toys, books, games, clothes and more. About 3 cubic feet of storage. Kids won’t have to fuss with a lid to get their prized posessions. 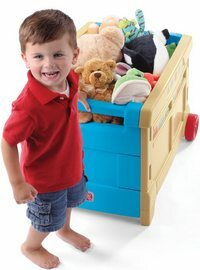 When the kids are done playing, just roll the toy chest out of the way to a corner or closet. Made in USA. Great fun for toddlers and those just learning to walk. The little ones can play make believe and push their little dollies and other toys around the house. Has extra storage underneath and smooth wheels will not scratch floors. Age 2 +. Toy Made in USA. 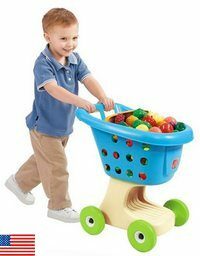 Little ones can shop just like the big people with this super durable shopping cart. Perfect for early walkers and up. Pop your favorite stuffed animal in the cart seat and start filling your cart! Smooth easy rolling wheels and extra storage space underneath. Toy Made in USA.